Yes, the photo transition from sunny Los Angeles to apocalyptic barren lands might seem strange but that's what happens when you feel the need to make stops from a six hour drive to Northern California. Plus, how can I resist including hair flip shots? My outfit consists of such bold pieces that I refrained from adding any accessories. 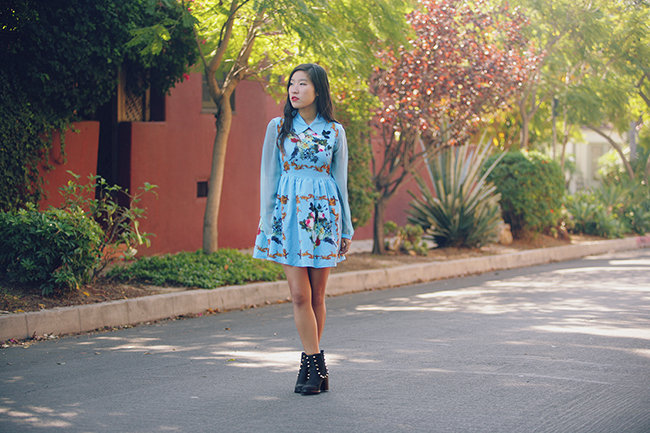 I wore a picturesque dress from Romwe that reminds me of a painting captured on a dress. I think my favorite part about the dress is the flowy chiffon sleeves. My feet are adorned with the Ten20 boots by To Be Announced. The height and sturdiness make them extremely functional and the amount of spikes aren't too overpowering. Love the dress, the boots and the pictures! Really a good inspiration! I think my shoes and the last photograph are my favorite part of this! How many photos did you even take to get such an amazign action shot?! Wow I really love this! Your boots are to die for and your dress is such an amazing pattern and colour. amazing photographs! love your look! wow this dress is breathtaking!!! Love your blog and those shoes!! So yummy dress and amazing photography! these last pictures are so beautiful!!!! The photos are super rad!!!! Love your fabulous dress!!!! Wow I love your outfit..I am a huge fan of Baroque & spikes and you have rocked both of them! 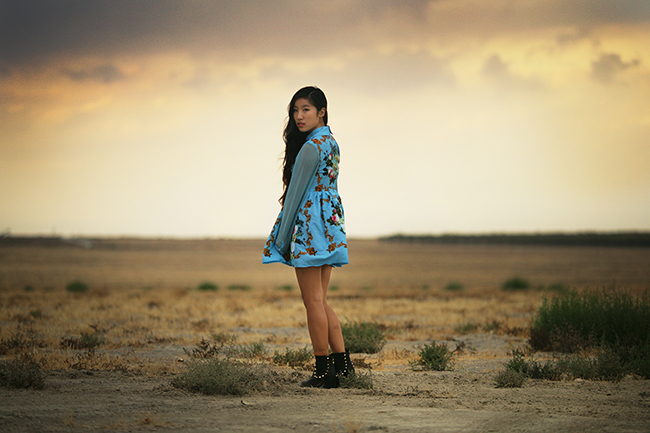 the dress looks amazing, and I love those shots in the middle of nowhere, so romantic! Woow!Pretty girl,lovely dress and amazing shoes! I absolutely adore this, everything about it. I so badly want your boots! Love the dress and yor boots!! Amazing post!!! stunning! i love these photos and that dress is amazing. !!! 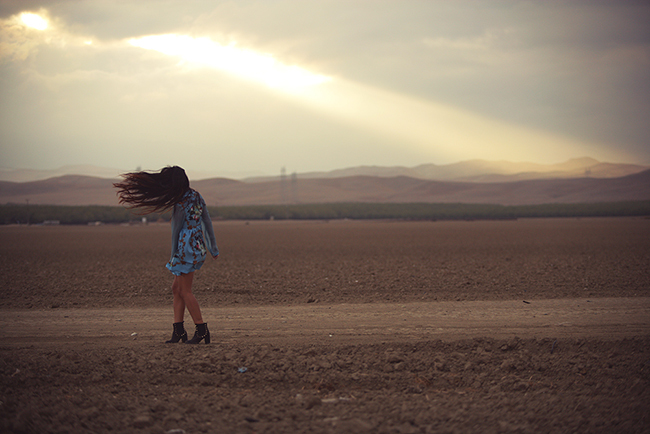 Love your desert photoshoot, and those boots are so amazing! You look beautiful and all these photos are stunning! you look flawless and those shoes are perfect! pretty dress & cool boots! u look lovely! DAMN...gorgeous dress and gorgeous photos! PS- Newest follower! Your blog rocks. Just perfect- in every way! Gorgeous! Love how you added the studded boots for some edge! Awesome dress, dear! Your style is really adorable!!! So great pictures, and I also like this outfit! Especially I love the last pic.! Impresionante!!! Un look muy bonito. Awesome blog by the way, love your style! Congratulations for making it into this week Links a la mode!! Great outfit! Gorgeous photos! You are beautiful, and I love that dress and the scenery in the last shots. I'm so glad I'm stumbled upon your blog!! This kinf of dress is perfect on you! You don't seem like a child and you're so beautiful! you look so beautiful <3 my heart is melting <3. i love these photos! it's just like from magazine ! Very very pretty dress. Love the way you've paired with spiked boots! That dress looks like it came out of a fairy tale! i love how the dress is sort of kitschy! Seriously diggin' your blog and your style! Also, I'm pretty obsessed with your spiked boots too! I love your sense of style and your aesthetic. Your photographs are always amazing, I can't get enough of them! The scenery here is absolutely breathtaking. I long to go on a road-trip and encounter such open places like this! There is no such thing in Singapore. That hair shot is so beautiful. The shots in the desert of so beautiful and so is your dress! I'm obsessed with these shots! that dress is just adorable and I'm in love with those boots. such a cute dress! the print is amazing. Gorgeous photos, and beautiful dress. Totally love it. WOW, these pictures are sensational!! What camera/lens combo is that? I love the mood it depicts. Also, the dress is to die for. Methinks it's time for me to pay Romwe a visit! Thanks for stopping by my blog, would you like to follow each other on bloglovin? That dress is positively gorgeous! I love the print! Gorgeous outfit! The dress is stunning, I really love the print, and I like anything with studs so I'm loving those boots too. I really love this shoot! the landscape is so beautiful and your outfit is lovely!